Inspire less time in the kitchen, and more time with those they love. To provide you the ability to serve healthy meals, and to better maintain wellness and nutrition within your family. To preserve your time for your passions, loved ones, and life by improving the convenience and ease of daily meals. To support you in making freezer cooking happen for you and your family by coming alongside you at every step of the process. Mother’s or Father’s Day: Support the meal planner and home cook in your family! Birthday: Food is always a good way to celebrate! Thank you: Go beyond and show your appreciation. Congratulations: Congratulate and spur them on! New Mom: Give this to her in advance so she can stock her freezer before the baby comes! 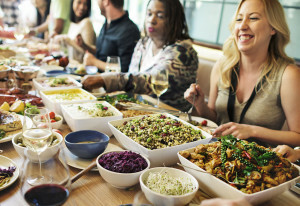 Wedding: Help a newlywed learn to cook! Moving: Help a family prep meals for once they move! New Job: Help them meal plan in their transition. Dieting & Sickness: Show love and support to someone as they learn to cook for a new diet or illness. 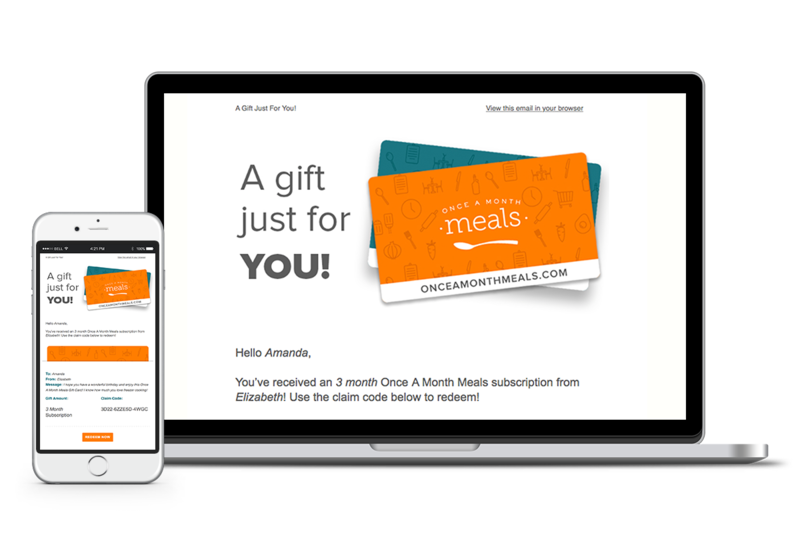 Your gift will go toward a new or existing Once A Month Meals subscription. Monthly subscriptions start at $18. The Gift Card will be sent to the recipient's email address on the specified delivery date after you complete your order. Delivery Date Choose a date to deliver the gift card - up to 90 days in advance.